mandatory spay neuter | YesBiscuit! 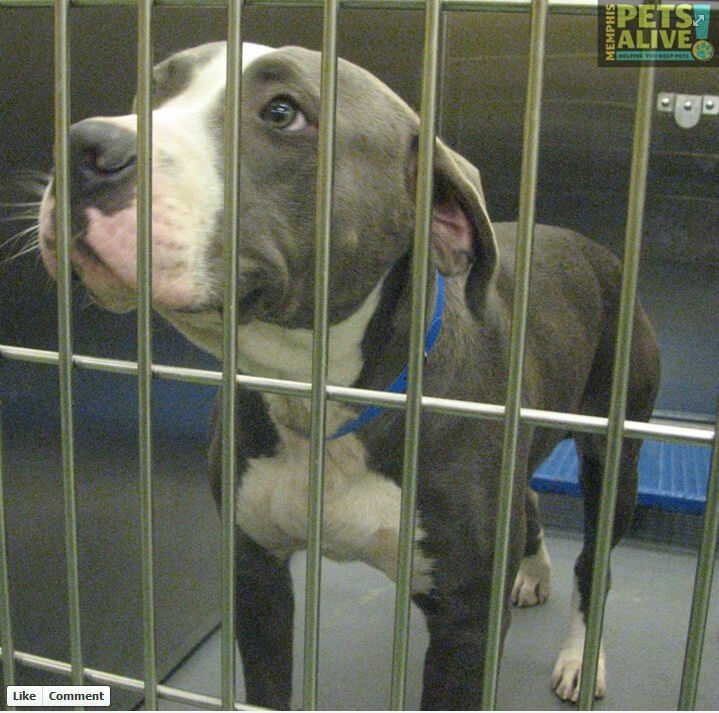 Screengrab from the city of Killeen’s website showing a dog at the pound. In late January 2014, former manager Stacie Sherva was fired after allegations surfaced regarding poor sanitary conditions, injured animals left in cages without veterinary care or pain medication, and the adoption of sick dogs and cats. Volunteers who have helped care for animals at the pound since that time are voicing serious concerns about current operations. Volunteers report animals in cages filled with old urine and feces smeared on the walls. Killeen Police Commander Lee Caufield, who oversees the pound, told the Killeen Daily Herald that he has “reinforced our cleaning policy with all employees”, they’re doing the best they can, blahcetera. Hale said both dogs were still alive when they were placed in plastic bags and moved to a freezer to await incineration. Right. Like maybe the dogs suffered for three hours instead of four or they were bagged alive at one o’clock instead of two o’clock or *throws hands in the air* who knows? It’s all too confusing so we’ll just have to forget about the whole thing. But just to show he cares, the police commander did have a vet review the killing protocols and will have that vet “provide refresher training on procedures and protocols” which should set everyone’s mind at ease over the whole living dogs in trash bags thing. Making matters worse for animals in Killeen, the city is slated to begin enforcing its new mandatory spay-neuter-microchip ordinance this month. MSN has never eliminated or reduced the killing of shelter animals anywhere it’s been tried. It’s a proven failure with some communities seeing an increase in killing after the passage of MSN. This is why MSN is opposed by most every major animal welfare group in the country including the No Kill Advocacy Center, ASPCA, Alley Cat Allies, AVMA, and the American College of Theriogenologists. There is simply no excuse at this point for implementing failed protocols while ignoring those which have been proven to be successful in saving shelter pets. Killeen’s ordinance is particularly ignorant as it requires puppies and kittens to be spayed and neutered at the age of four months. This is your public animal shelter, Killeen. Demand better. 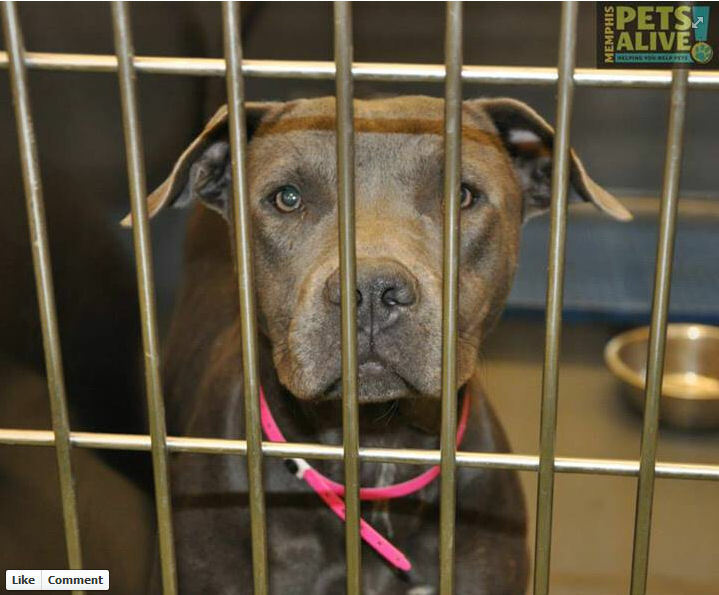 On Saturday November 2, 2013, Memphis Animal Services impounded 3 Pitbulls estimated to be 12 months, 7 months and under 6 months of age respectively. MAS is closed on Sundays and Mondays. On Tuesday, November 5, the owner of the 3 dogs came to the pound to reclaim his pets. MAS advised the owner that it would cost him $363 for each of the dogs over the age of 6 months and $163 for the puppy who was less than 6 months old. This would be a total of $889 to get back his 3 pets that he came promptly to reclaim. How many of you could come up with this kind of cash? I could not. The owner paid the ransom for the least expensive dog and signed a surrender form for the other two, who were both apparently healthy according to pound records. MAS killed them both. Their names were Beauty and Rocko. Portion of Beauty’s records at MAS, obtained via FOIA request (owner’s name and address redacted by me). Portion of beauty’s records at MAS, obtained via FOIA request. Portion of Rocko’s records at MAS, obtained via FOIA request (owner’s name and address redacted by me). This was a case where the dogs had a home and an owner who wanted them back. But due to the exorbitant fees charged by MAS, made even higher by the crappy MSN law in Memphis, 2 of the 3 dogs weren’t allowed to go home. Instead of sending the 3 dogs home, MAS sent 2 of them to the kill room. For what? To punish an owner because he didn’t have his dogs neutered? To set an example for the community? Portion of records for Beauty and Rocko at MAS, obtained via FOIA request. Good going Memphis. Your suckass MSN law and disgraced animal “shelter” have earned another spot on humanity’s wall of shame. Rocko, as posted on the Memphis Pets Alive page on Facebook. Nobody WANTS to kill animals. Except when they totally obviously do. Ipsos Marketing conducted studies for Petsmart Charities on a variety of issues related to pet adoption in 2009 and 2011. In this post, I am going to pull out a few of the findings related to spay-neuter. Close to 1/3 of the respondents who had acquired a pet within the past year indicated the reason they had not neutered the pet was cost. (page 25) Of those, roughly 80% were not aware of any low cost spay-neuter services in their area. The study also found that more people are using the internet to research spay-neuter prior to having the surgery done. (page 28) It seems to me that those providing low and no cost neuter services should take advantage of this trend in order to increase awareness within the community. A user friendly website with clear contact information is a must. And to state the obvious, any website containing text such as: “There is currently a 9 month waiting list”, “DO NOT CALL US to see where you are on the list”, and similar negative comments are a major turn off for owners. Pet owners trust veterinary practices to neuter their pets much more than they do low cost spay-neuter clinics or “humane societies”. (page 29) Respondents overwhelmingly believed the private vet office would be clean, safe and take good care of their pets. To my mind, this is a direct reflection of the customer service and marketing put forth by many low cost spay-neuter clinics and “humane societies”. A fixable problem, if anyone involved cares to address the issue. As far as what motivates pet owners to get their pets neutered, perhaps unsurprisingly, the primary reason is to avoid having litters. (page 31) Only a very small percentage of respondents indicated they were motivated to have the surgery done due to a local MSN ordinance. Although many shelter directors and animal welfare advocates blame the public for a failure to neuter their pets, there is clearly a need for more low cost services, a need to make the community aware of the services that exist and to instill trust in pet owners via good customer service, marketing and quality pet care. Word of mouth is some of the best advertising money can’t buy. Right now, it’s working against many of the places that provide much needed low cost neuter services. That can be changed. Are they really so “bad” that they must be killed? According to whom? What about the “good” dogs – what happens to them? So anyone who doesn’t support the person in charge of needless pet killing at the pound has no class. Nice. Official “volunteers” work with specific shelters, and are generally calmer than “rescuers,” who tend to be older, single white women with boundless energy — and often uneasy relations with paid staff. Right. Because rescuers just hate. It’s not that all the previous managers have also killed pets instead of doing their jobs, inviting condemnation from people who believe they are wrong to kill, it’s that hysterical old white women who can’t find husbands just hate. No-kill means killing 15 percent or so of animals. No kill means saving every healthy/treatable pet at the shelter. It’s not tied to a specific percentage although Nathan Winograd, director of the No Kill Advocacy Center, recently used the phrase “saving upwards of 95% of all animals” to describe the dozens of open admission no kill shelters in the U.S.
To reduce the killing, L.A. would have to persuade city residents to spay and neuter to prevent litters of animals. That means Animal Services — and by extension the City Council and Villaraigosa, who have cut its budget — would have to pay to better publicize and enforce a mandatory city spay-and-neuter law that’s widely ignored. Right, MSN is failing in L.A. because it’s ignored. Because otherwise, MSN would totally be working, even though it has never worked to significantly reduce the killing of shelter pets anywhere it’s been tried. Ever. Well yeah, you can – if anyone wanted to quit regurgitating the tired excuses of the past and open their eyes to the successes of the present. No kill is happening – in the north, south, east and west. It’s happening in large cities and rural communities. It could be happening in L.A. – today, if anyone involved wanted it. Ever since relocating to South Carolina many years ago, and particularly since becoming an advocate for shelter pets throughout the south, I have heard the same myth repeated ad nauseum by shelter staff, volunteers and advocates in general: The reason our shelters kill so many pets is because we don’t have strong mandatory spay-neuter (MSN) laws like they do in the north where pet overpopulation is no longer a problem. This is false. It is not true. It is false and untrue and wrong on so many levels, I want to scream every time I hear it. 1. Pet overpopulation is a myth. Do the math. There are enough homes for every shelter pet in this country. The city of Los Angeles enacted MSN in 2008 and after the first year, shelter intake and killings were up. Killings increased after the second year as well. The third year was yet another failure. Intakes and killings increased in Las Vegas after the city enacted MSN in 2010. When CA was considering statewide MSN legislation in 2007, the past president of the California Veterinary Medical Association wrote a lengthy letter to the Board detailing his opposition. Killings and costs both went up in King Co, WA after MSN was passed in 1992. The American Veterinary Medical Association opposes MSN. 3. The reason shelter pets are being sent to the landfill in the south at such an astonishing rate is because shelter directors are killing them. To imply that pet owners in the south are too irresponsible to neuter their pets is not only untrue, it’s insulting. We have rampant poverty here in the south and a wide range of problems that accompany it. Pet owners here are similar to those in other parts of the country – some irresponsible but most trying to do right by their pets. We are lacking in access to low/no cost neuter services, transportation and community outreach. Implementing a law requiring owners to neuter their dogs and cats does nothing to address those problems. 4. Northern states do not have MSN laws requiring all owners to have their dogs and cats neutered – in fact, no state in the country has such a law. Rhode Island legislated MSN for all cats over the age of 6 months in 2006. The annual permit to keep an intact cat costs $100 and does not allow the animal to be bred. The breeder’s permit costs $200 a year and there are additional requirements regarding vaccinations and care. Violators face fines of $75 per month. I have been unable to find any statistical information to show what, if any, effect the law has had on the number of cats being impounded and killed by RI shelters. If anyone has any data for RI shelters to share, please leave a comment. In the absence of any proclamations to the contrary, I think it’s reasonable to guess that RI has not become a no kill state for cats since MSN was passed. In 1996, Camden, New Jersey enacted MSN requiring a $500 permit for anyone who kept an intact pet over the age of 6 months. The annual permit fee is currently $100 and intact animals must meet other requirements, such as annual vaccinations, in order to be approved each year. Anyone who hasn’t bought the permit and whose dog or cat has a litter is required to surrender the litter at the age of 8 weeks to the pound and have the mother spayed within 10 weeks. The state of New Jersey has annual stats posted online for animal intake and disposition, broken down by county. The reports start in 2004 and I looked at Camden Co’s numbers for each year available. Intakes are generally trending up – 7464 dogs and cats impounded in 2004, 12,716 in 2009. Camden Co’s kill rate in 2004 was 27% and in 2009 it was 26%. By comparison, the statewide average kill rate in 2004 was 43% but down to 34% in 2009. While Camden Co’s kill rate was consistently lower than the statewide average in the years 2004 through 2009, the question must be asked: Why is Camden Co impounding so many more animals than in 2004 but failing to reduce its kill rate in keeping with the rest of the state? Camden has MSN, the rest of the state does not. Further, Camden Co has failed to match the lifesaving success rates of 90% or better achieved in dozens of communities around the country – none of which have MSN. Contrary to the claim made by a SC rescue group on this page, the state of NH does not have a mandatory spay-neuter law (nor do I know of any city or county within the state that has MSN). It does have an Animal Population Control (APC) program which offers assistance to pet owners who meet certain income guidelines and want to have their pets neutered. Owners of intact dogs pay an extra $2.50 for their licenses (over the license fee for neutered dogs) and that money goes toward the APC program. The voluntary program has resulted in a dramatic decrease in shelter animal killings and has saved taxpayers money. A couple of noteworthy items: NH has the lowest poverty rate in the country. And while NH does have a very low kill rate, shelter pets are still killed throughout the state. 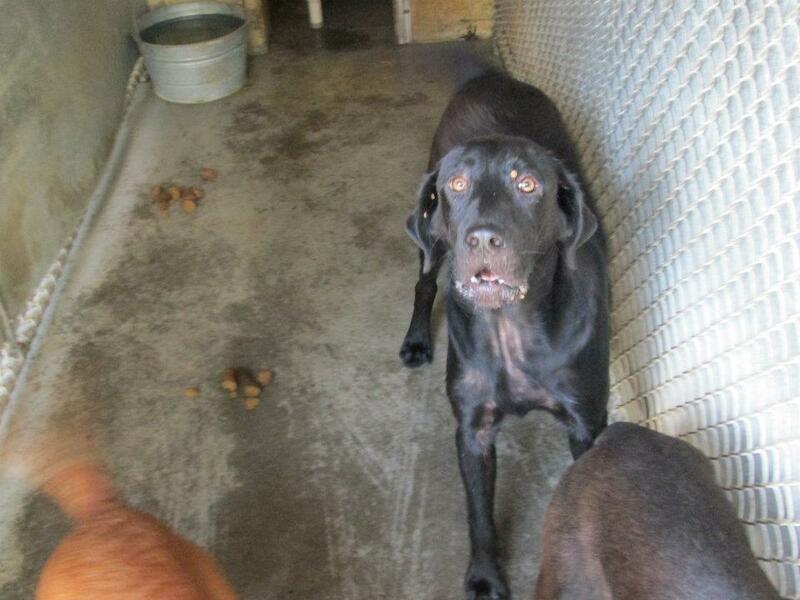 Dog at Vance Co Animal Control in Henderson, NC, as posted on Facebook. We pet owners in the south are not bad people. Please stop blaming us for shelter pet killing. Stereotypes and insults do not save pets’ lives. The programs of the No Kill Equation do. If southern shelters would stop blaming the public long enough to check the facts, they would see that the public is part of the solution to the problem. We can help network, foster and adopt pets. We can get our pets neutered if given the means to do so. We can volunteer at and donate to our local shelters. But we’re not going to do any of those things if we are constantly demonized by our neighbors in the animal welfare community. You’re driving us away with your myths and your blame and your pet killing. Your way isn’t working. Why not try something new? Preferably, something real and proven. I have voiced my opposition to mandatory spay-neuter (MSN) laws many times but to recap, they don’t work. MSN has never significantly reduced or ended the killing of shelter pets anywhere it’s been tried. In some places, killing increased after MSN was enacted. It’s a proven failure. Yet there are still many animal advocates who believe that MSN will end shelter pet killing and so keep working to get it passed in more areas. Here is an open forum to discuss MSN. In practice, it’s never worked. But in theory, how do you believe MSN could work to end the killing in shelters? I will respond to all reasonable claims of how MSN could theoretically lead to no kill (if anyone offers any, that is). Also, if you live in an area that already has MSN, please share how it has affected killing at your local shelter. Memphis took in 15,401 pets in 2010 and killed 11,906 of them. 2011 was the first full year with MSN in place and the pound was closed for part of November while the facility moved to a new building. Intakes and killings dropped significantly that month, as one would expect. But even with the reduced numbers for November, MAS still took in 15,042 pets in 2011, killing 11,030 of them. 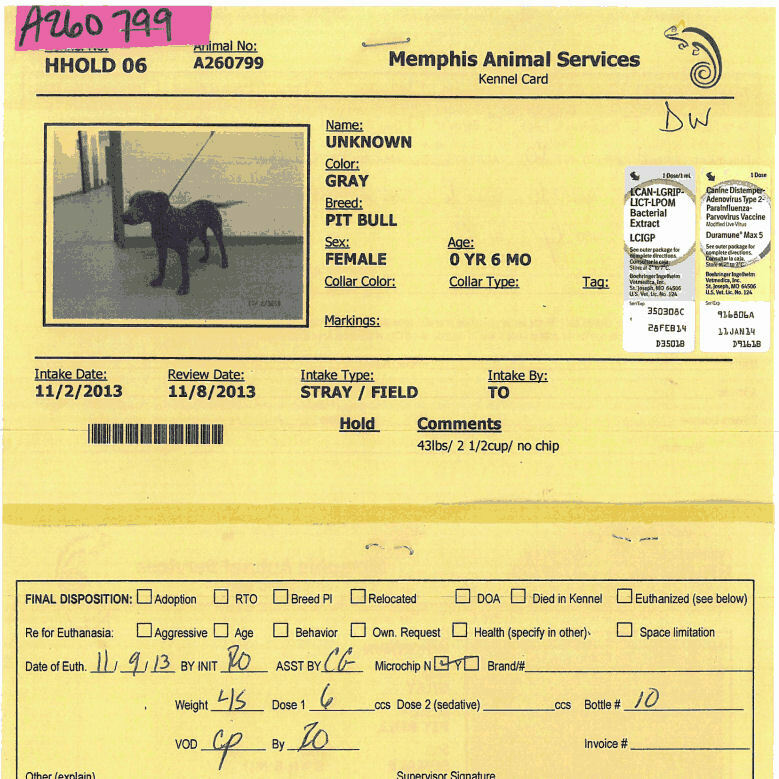 As such, Memphis joins the list of cities where MSN failed to stem the tide of pet impounds and killings. 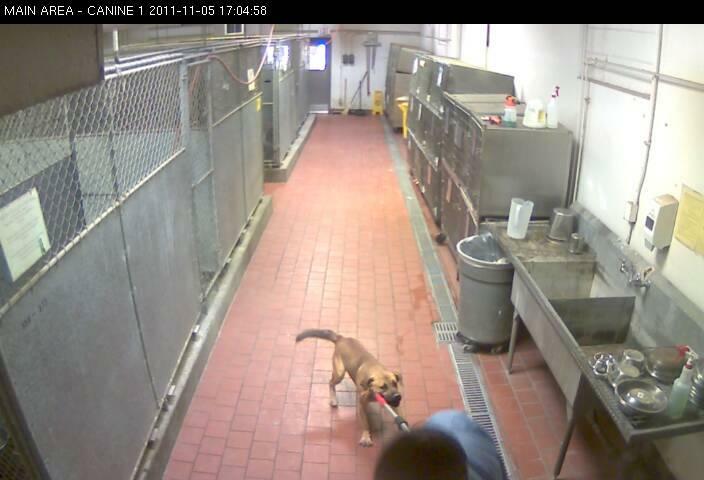 A dog from the stray area at the old MAS facility is dragged to the kill room on November 5, 2011. Tragically, MAS killed 73% of the pets in its care in 2011. But there is a way to end this hemorrhaging of compassion in Memphis. There is a set of programs which has been proven to eliminate the needless killing of shelter pets. It’s called the No Kill Equation. You can’t pass legislation which punishes pet owners as a means to stop the killing. You can’t turn off the webcams and lock animal advocates out of your meetings as a means to stop the killing. You can’t blame the public as a means to stop the killing. But you can stop the killing Memphis. Get rid of your failed MSN law, turn the webcams back on, open up your meetings, accept help from the public and implement the proven programs of the No Kill Equation. You could start saving pets today. Earlier this month, a pair of family pets escaped their yard and were picked up and brought to the Memphis Animal Shelter. The owner showed up to redeem the dogs who were both intact males. The shelter director, Matthew Pepper, advised the owner that, in order to come into compliance with the new MSN law in Memphis, both dogs would have to be neutered before they could leave the shelter. The owner said he’d rather take the dogs to his regular vet for the surgeries but Matthew Pepper refused. According to new Memphis laws, all animals have to be spayed or neutered, but no where in the law does it say the shelter has to perform the sterilization. Shelter bosses created that policy on their own. So shelter bosses in Memphis are empowered to rewrite laws as they see fit? Really? When the owner came back to pick up the dogs post surgery, he was told only one had survived. The other dog, named Shocker, suffered a post-operative allergic reaction to the anesthesia which went unnoticed because no one was watching him. Matthew Pepper was not following the law when he refused to give the dogs back to the owner and ordered the dogs to be neutered at the shelter against the owner’s wishes. Someone at the shelter with veterinary training should have been monitoring Shocker in recovery to observe for this exact type of incident. The failure of the shelter to do this is inexcusable. This event has the potential to be both a legal and a PR nightmare for Matthew Pepper. A. Grant the owner’s request for a refund of the surgery fee. B. Accept responsibility for the dog’s death and assure the public that new shelter protocols are being put into place immediately which will ensure all pets recovering from anesthesia receive appropriate veterinary monitoring. C. Dress up in a dog costume and lock himself in a cage as a publicity stunt to get the shelter some positive press. If you guessed A – I’m sorry, thanks for playing. When the owner asked for his money back on the surgery that killed his dog, the shelter whipped out the red ink DENIED stamp. If you guessed B – Apparently you are unfamiliar with how they do things down at the Memphis Animal Shelter. Dead dogs are a dime a dozen around there. For those who guessed C – ding-ding-ding! And guess what? The local media ate it up. Big. Time. At odd moments on Saturday, workers at the Memphis Animal Shelter would turn their heads to the roof and howl. And when they gave a rousing rendition of “Who Let the Dogs Out” Matthew Pepper, animal services administrator (dressed for the day in a dog costume), would leave his cage to dance. And to Shocker’s owner, who I expect is neither dressed in a costume nor dancing at this moment: I’m sorry for your loss and I hope you get justice for your dog. The board president of the Lenoir Co SPCA in NC wrote an opinion piece in an area paper. It’s titled “Let’s Stop the Killing” which sounds, you know – awesome. I want to stop the killing of healthy/treatable pets in shelters too so yeah, I’m listening. We do our part in Lenoir County as we intentionally kill from 2,200-2,500 dogs and cats every year. Every month, animal control officers bring some 300 dogs and cats to the local shelter. Sadly, 65-70 percent of these animals will be killed … and we kill less than the national average where 75-80 percent are killed. The national average of needless shelter pet killing is 75-80%? Source, please. I’m familiar with figures closer to the 50% range. Only a few of the animals saved are adopted locally. Most of those saved are hauled to other, more enlightened communities that have enacted regulations that encourage population control. Others have done it. We can, too. Other communities have stopped the killing by enacting MSN? Do tell! I am eager to hear about these previously well guarded secret communities. The ones I am aware of have failed to end the killing of pets after passing MSN and in fact, they often end up increasing the number of pets killed at shelters. Read the stats and weep. I may not live in one of your so-called enlightened communities but I know a snow job when I see it. You are not killing less than the national average – you are killing more. You’re only adopting out “a few” pets and the others who escape death are “hauled” away to where smart people live. Now you want a law likely to increase killing? 70% isn’t good enough for you? Aiming for 100? Gimme a break. How about a title do-over for your piece: Let’s Stop the Lying. In order to stop killing you need to work with the people in your community, not disparage them. Get the public involved with saving lives by developing an expansive foster network and volunteer program. Support programs that help low income pet owners get their pets neutered. Get lost pets reunited with their owners. Participate in area TNR programs. Use your voice to reach out to the public as you vow to commit to change. Also: stop killing. Why Would You Think That, Matthew Pepper? “Just like all the problems in Memphis there is no magic wand that will act as a cure, but this is one step to create a better environment for animals and citizens,” said Memphis Animal Shelter Director, Matthew Pepper. Mr. Pepper doesn’t cite any references for his belief that Memphis is going to blaze the trail for successful MSN laws. (Maybe it’s classified information – like China’s plan to take over the U.S.) It’s my opinion that Memphis will head down the exact same paths as all the other failed MSN cities. And I have references!